Buffing your car is usually a very poor practice if you are trying to make your car’s paint last as long as possible. 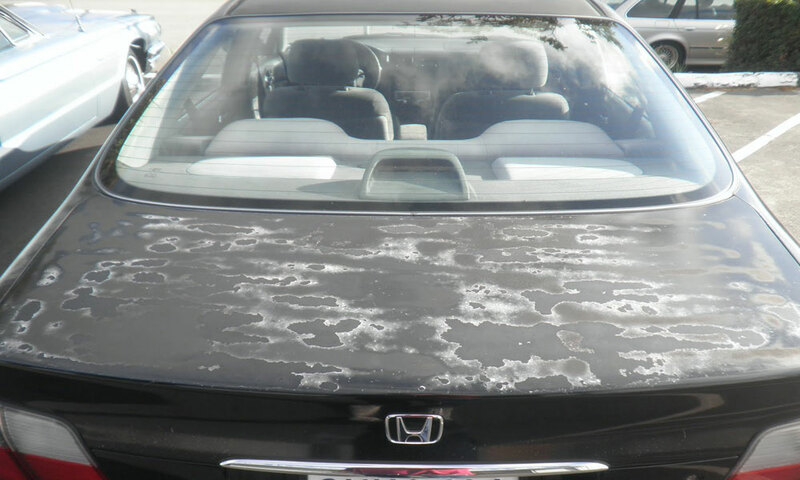 Your clear coat layer is the only strong layer of your car’s paint. The actual color layer is very fragile and weak and must be protected by the clear coat layer. You can think of your clear coat as your car’s body armor. The thinner the clear coat layer the less UV and chemical damage protection you have. Buffing is literally fine sanding. Some of your clear coat is being removed each time someone takes a polishing/buffing machine to your car. You do not have a thick layer to begin with; no car does from the factory. You should never buff your car unless there is a specific blemish that you cannot live with that needs to be removed. 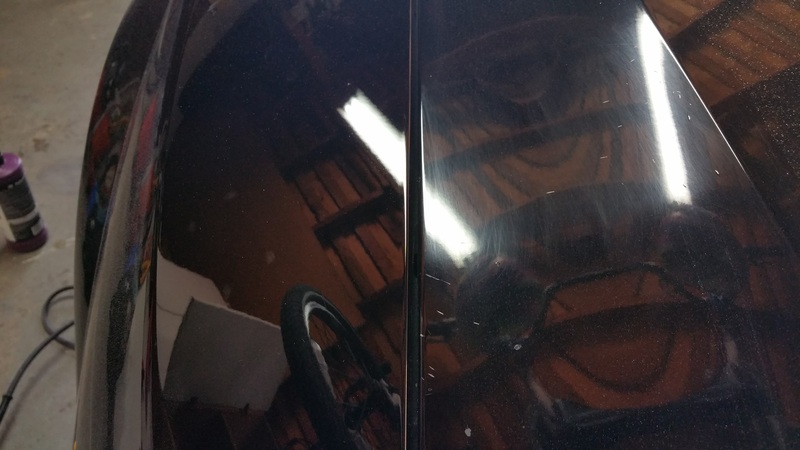 Once your clear coat layer isn’t thick enough anymore you get oxidization (which presents as fogginess or milkiness) and chemical damage that can penetrate the entire clear coat layer. Once the clear coat layer has completely failed (fully penetrated) you will see white spots (air) under the clear coat layer but above the color layer. If flaking is occurring the layer has long since failed. The moment the air reaches your color layer you will need a completely new color and clear layer, which is a full paint job, on that area. Blending into adjacent panels will also be necessary to make the job look like it matches the rest of the car. The average price to repaint a panel well and blend into adjacent panels runs about $800-$1500+ depending on the color of your car. Your paint can last the life of the car if you don’t allow unnecessary buffing and you always keep it waxed with a non-cleaner wax. Some cars, however, could greatly benefit from a good buff and polish. We can help you determine if buffing is, in fact, a procedure your car will benefit from. 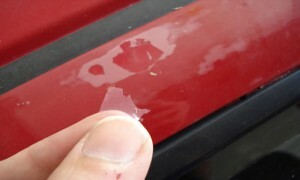 Here are picture of clear coat failure. 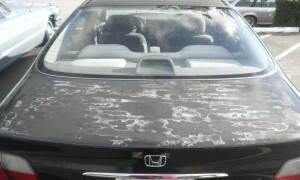 Here is a picture of a paint job in need of buffing. On the right we have the “Before” on the left we have the “After”.